When I end up with tons of overripe bananas I tend to throw them in the freezer to use later for some kind of baking. Sometimes it’ll be banana bread, sometimes banana cake, or sometimes a fruit smoothie. When I have upwards of 10 frozen bananas this recipe will take care of 6 of them! Perfect for book clubs, potluck dinners, snacks for work or school, or a parish study group, this recipe is easy and simple to make. You don’t need a hand-blender, and with lots of banana mashing and spoon-licking to do it’s a great recipe to make with kids. These muffins are made with whole-wheat flour, a reduced amount of sugar and oil instead of butter to cut down on the calories and make them super healthy! Prepare a muffin pan – use a non-stick pan, a bit of oil, or parchment muffin cups. Combine the dry ingredients together and sift well (flour, baking soda, baking powder, cinnamon, nutmeg and salt). In a separate bowl combine the oil and the sugar until well blended (make sure there are no lumps in the brown sugar). Add in the eggs (already beaten), the well-mashed bananas, the vanilla extract and the milk. Mix well. Add the dry ingredients to the wet and mix until the flour is incorporated. 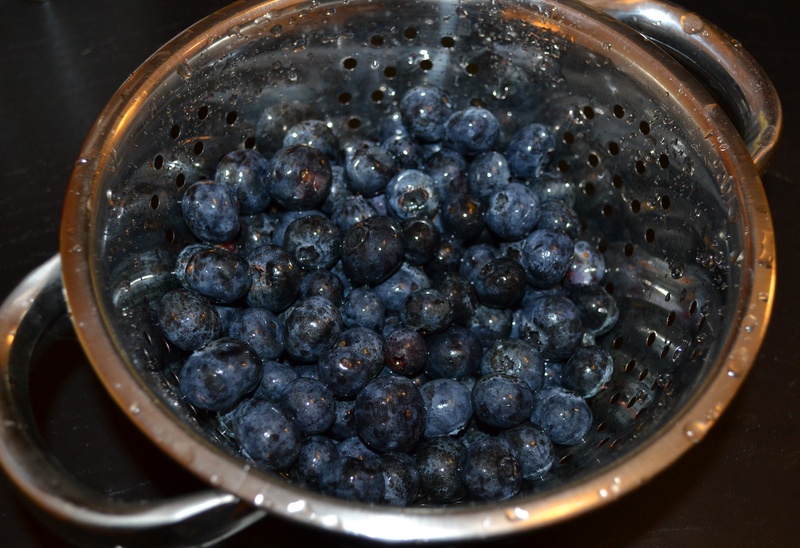 Mix in the oats, nuts and blueberries. 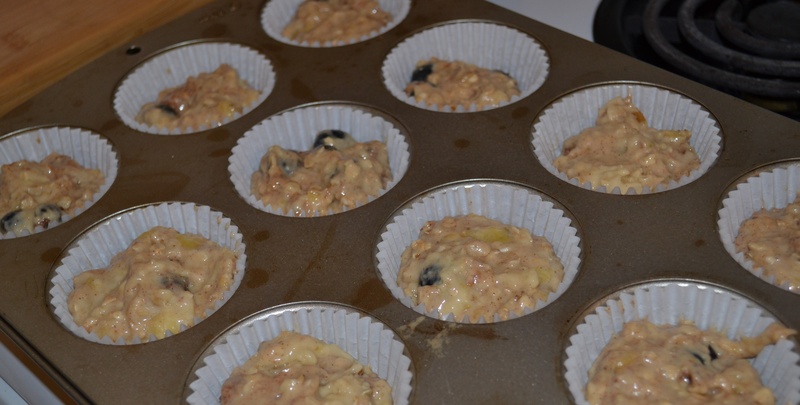 Spoon the mixture into your prepared muffin pan, each muffin should be about ¾ full. Bake at 350 degrees for 15 minutes or until a toothpick inserted inside the muffin comes out clean. – You can cut down on the sugar even more if you need to. Or use a sugar substitute. – I always like adding nuts and dried fruit to baked goods. But you can make this recipe nut free by using 2 cups of oats instead of one. – For a vegan recipe replace the milk with soy milk or a bit more oil and replace the eggs with applesauce! A ¼ cup of applesauce is equivalent to one egg. – You can also add dried cranberries, chocolate chips, flax seeds, oat bran, raisins, diced dried apricots, or anything else you want to this recipe. Thank you for the recipe, will you be sharing more with us? Hi Sarah! We will most certainly feature recipes and other great ideas in the future. We’re happy to hear you enjoyed the post. 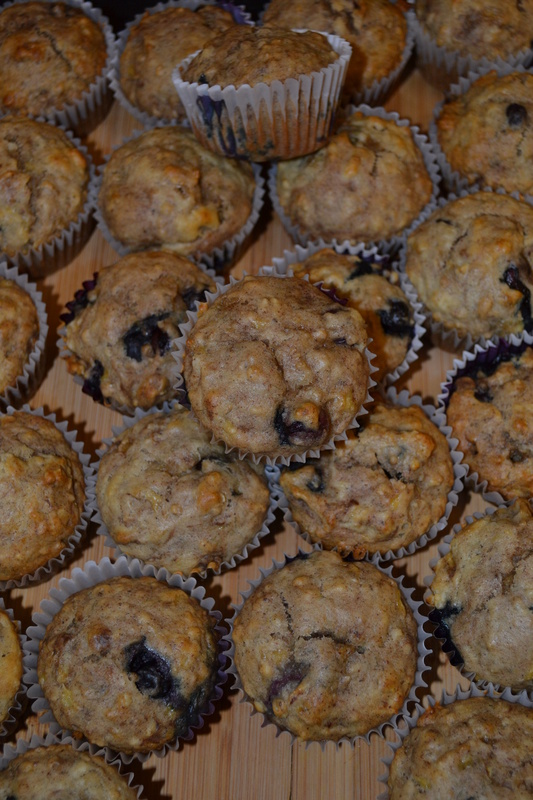 Were you able to make some blueberry-banana muffins?